Gifting for a communion has been made easier thanks to the great gift ideas being offered by Veritas. 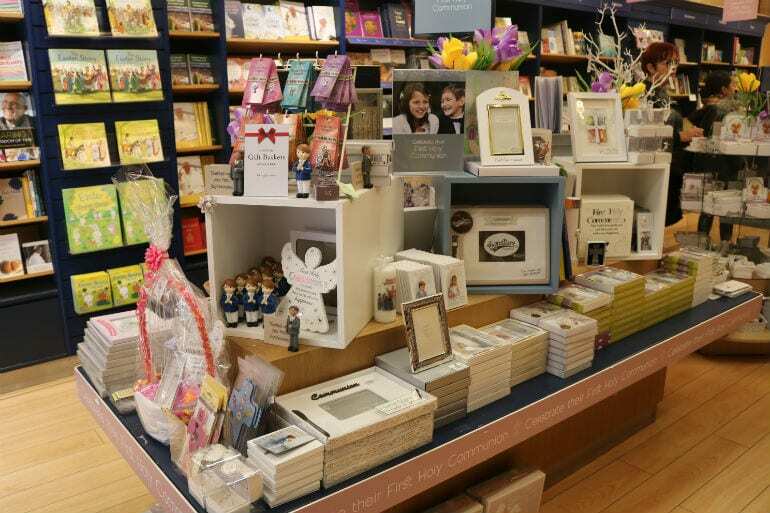 Located in the heart of the city, Veritas on Abbey Street Lower, has stocked up on communion supplies that will bring a smile to anyone making their communion. Traditionally, the month of May is the time where schools across the city get ready for communions. It’s a tradition that continues to be a celebrated one in Dublin. 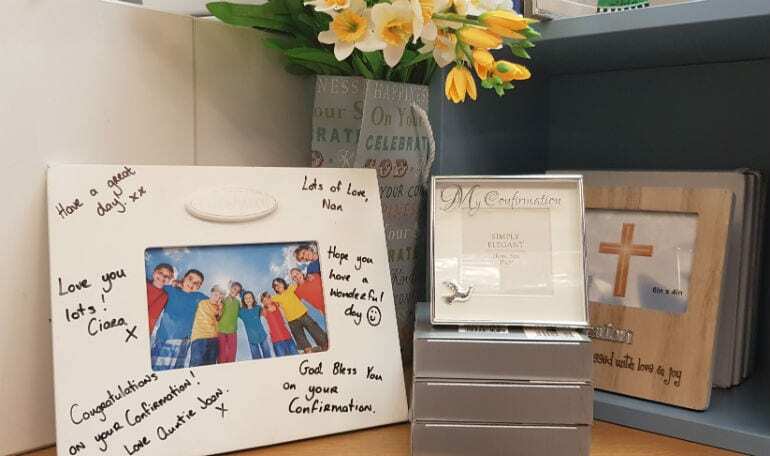 Manager, Evelyn Gaynor of Veritas talks us through what they have on offer for anyone looking to gift a relative or friend on their communion day. “We have everything you need for a communion, even a communion handkerchief! There’s prayer books, rosary beads, rosary bracelet – all for great value. There’s rosettes, and of course the gift sets. One of the favourite gifts is a frame that can be signed by friends and family for the special day. “It’s different. It is a modern frame and can be kept for years”. “There’s a new range of the guardian angel crystals in that are very popular. Lots of different types of frames, pens and a candle set. Our sterling silver medals and jewellery is really lovely and there’s the range from Tipperary Crystal that is a great keepsake, the type of jewellery you can wear after your communion day. These are things you can keep after the day. We can help with any needs you have for their communion day,” Evelyn added. 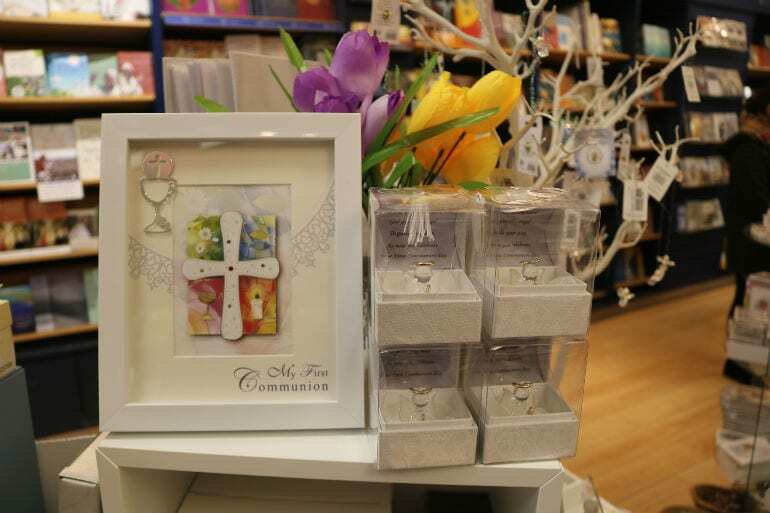 Veritas have a great range of communion and confirmation stock in store now. For anyone who might be making their communion or confirmation later on in the year, the team always have a selection of this stock available but if you can’t find it, ask the very helpful team who are only happy to assist.